Girls Only Camp Information will be posted Soon! 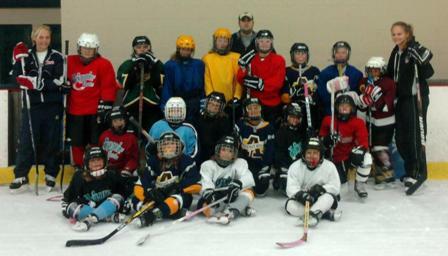 Our Girls Only Development Camp is designed to take the player to the next level. Players will be broken down in small groups of like ability and age. Overspeed Director of the Steal the Show Hockey School & Clinics. He is an Advance level coach with USA Hockey. Former College Hockey player. Has worked 2 years on the staff of the Buffalo State College Mens Hockey team. He worked under 3 former SUNYAC Coach of the Year Winners. Has been with Steal the Show for the Last 8 Years. Players are broken down by age and ability. We have an 8 to 1 instructor to student ratio! Copyright © 2019 Steal The Show Hockey. All Rights Reserved.